These items are perfect for a small gift, stocking stuffer, or to combine with something else. They’re not pricey but they certainly come in handy and hikers will love them. Every hiker and traveller should have one of these as they are one of the simplest and most versatile items on the list. Great for keeping your face warm in the cold, or dust out of your nose and mouth I’m the desert. Buffs come in every style imaginable so have some fun with it! Perfect for those overnight hikes to keep your electronics going and many can be used as a flashlight in a pinch. We recommend Aukey or Anker over the cheaper brands based as they have a strong reputation for quality and will likely last longer. and love it’s stability as it even works for long exposures photographs of the stars or northern lights. Others recommend the Gorilla Pod which is a little more flexible in how you can set it up. 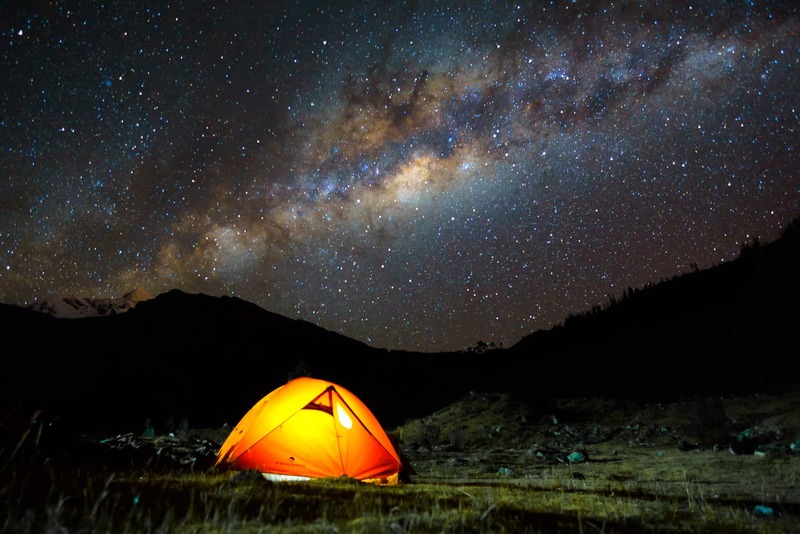 The Ultrapod is perfect for long exposures of the milky way when hiking! Perfect for the backcountry craft beer lover. Obviously you’re not going to take one of these on every trip due to weight, but for those hikes where you’re celebrating or need some libations and are willing to put up with a bit of weight I can’t imagine a better way to reward yourself after a long hike. Every camper needs one of these for their morning brew and they’ll last forever. You can find these in pretty much every shape, colour, or design, so find something that will resonate for your loved one and have some fun! We personally love the United By Blue ones because they’re beautiful and the company removes one pound of trash from our waterways. The budding photographer will love this book to teach them about exposure. There are lots of intro to photography books but this one is the consensus pick and the one that I used to learn about my camera. It’s packed with information and sample pictures and is a surprisingly easy read. You can never have too many pairs of smartwool hiking socks . They’re comfortable, breathable, and moisture wicking, making them a great option for day hikes or extended trips in the backcountry. Darn Tough also have a fantastic reputation for their durability and would make a great gift for the hiker on your list as well. The cheapest stove on this list, small, lightweight, and packs a punch. The aptly named pocket rocket can boil two cups of water in just 4 and a half minutes and weighs less than three ounces. Your hiking friend will appreciate it’s power when they get into camp after a long day. From our own experience it’s a little bit ‘tippy’ when you have larger pots on it so I recommend also purchasing MSR’s canister stand as well. It makes a big difference as there’s nothing worse than spilling your dinner after hiking all day. 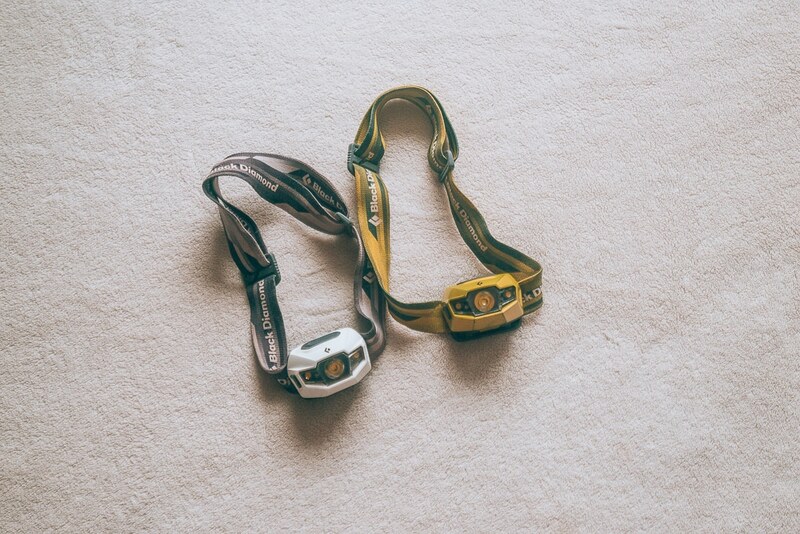 In addition to our headlamps, this always comes with us on overnight hikes. It’s really handy to light the campsite or to hang from the top of your tent so you don’t have to do everything by headlamp. Highly recommended! This is our go-to for day hikes. You fill up the bladder and place it (usually) on a pouch in the back of your pack. Not having to reach awkwardly or stop for water means you will probably drink more on the trail, keeping you hydrated. If your hiking friend or family member doesn’t have one of these yet it would make a great gift! Sarah Carter of ASocialNomad recommends a filter water bottle for any hiker on your list. “Give the hiker in your life a gift that saves them money and helps them save the planet – a filter water bottle. The best filter water bottles let you safely drink water from streams and rivers as well as from dodgy tap water sources. They work by using a filter, or a combination of them to remove bacteria, microorganisms, chemicals and bad tastes from your water. Even if the tap water takes unpleasant then filter water bottles will remove it too. 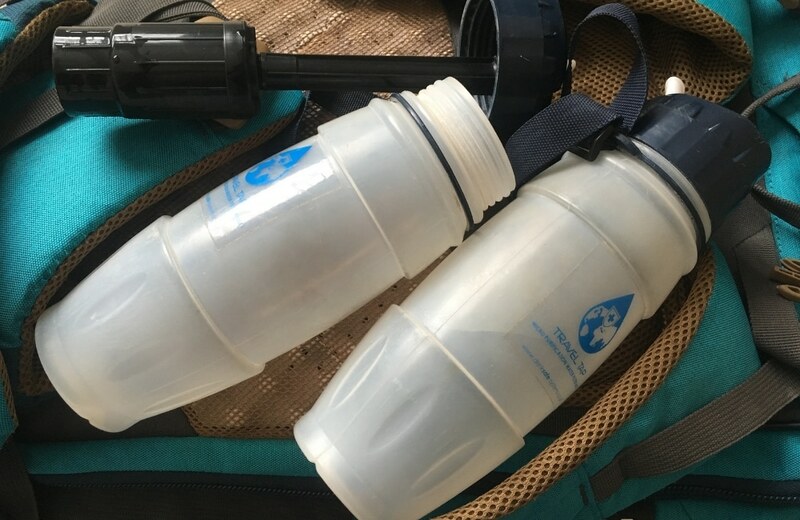 Top water bottles with filters in 2018 have replaceable filters. My favourite bottle is the TravelTap from DrinkSafe systems (it’s only available in Europe), but my second favourite is the Lifestraw. At Zentravellers we’re big fans of filter water bottles and personally use the Katadyn BeFree. Whichever you choose the hiker on your list will surely appreciate it! Hopefully they rarely have to use it, but it always pays to be prepared when you go out into the backcountry. Give them the gift of safety! Collapsible and lightweight, these bottles come on all sizes and are a great way for hikers to carry water on the trail. These handy liners add a touch of luxury to a sleeping bag (the pure silk option is not only more luxurious, but more durable than the cotton/silk blend) and they are functional too. They add a couple degrees (celsius) to the temperature rating of the bag which is great on cold nights, and they help to keep the sleeping bag itself clean. They’re also handy if you’re travelling or when renting gear. 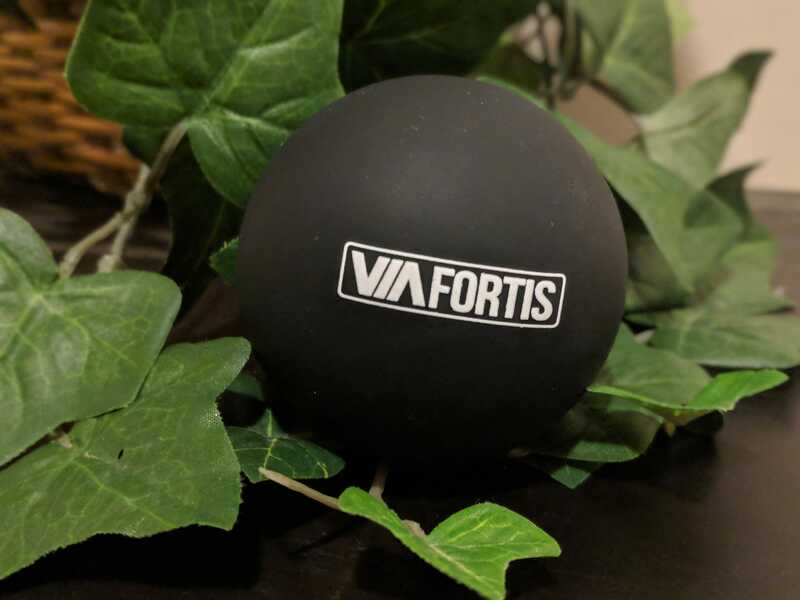 James at the Portugalist recommends a Medical Lacrosse Ball. We know all about sore muscles after hiking (or skiing)! “Hiking and sore leg muscles go hand in hand, and anything that can offer relief from stiff and tried muscles is always welcome. A foam roller is ideal, but its bulky size unfortunately isn’t ideal for a lot of hikers – particularly those that travel overseas and need to be careful with their luggage allowance. A medical lacrosse ball, on the other hand, takes up very little room in a rucksack or suitcase. Like the foam roller, it’s perfect for a deep massage and especially if you want to really get at that IT band. To use a lacrosse ball, simply place it on the floor and then, using your body weight, roll on top of it. It takes a bit of getting used to this, both the movement involved and the discomfort from the ball pressing into your legs, but it’s definitely worth it. These are bigger items that will be a staple for your hiking loved one. They’ll think of you every time they use them! Does the person whom you’re buying a gift need something to cook their backcountry meals in? These lightweight pots from MSR will do the trick and they stack in one another to minimize the space they take in a backpack. “Most people associate trekking poles to laziness or to not sufficiently trained muscles. Well, I beg to defer. And that’s because I use to think the same way. However, my physiotherapist has enlightened me and encouraged me to get a pair of trekking poles before a long trek in Nepal. And I was sure glad I did it. That’s because I had days with more than 8 hours of walking, half of it being downhill. And that’s not about strengthening your muscles. It pretty much comes up to saving your knees. Because no matter how much muscle mass you have, you still put a lot of pressure on those knees the moment you go downhill. And in Nepal, downhill really means downhill. And trekking poles are not only great for your knees, but for your back as well. I have scoliosis so I am fully aware that I need to protect my spine as much as possible. And this is exactly what the trekking poles do – they will take weight off your knees, as well as your back. Hiking poles are definitely not for the lazy – they’re a staple for the experienced hiker. Black diamond poles are my personal favourite. Mine have lasted 8 years with no issues. Some other brands the locking mechanism fails which is annoying, or the pole isn’t strong enough and can break after extended use so do try to buy a brand that has a reputation for reliability. Another gift for the hiking photographers, is your friend or family member a photographer that’s always carrying a DSLR or Mirrorless camera on their hikes? 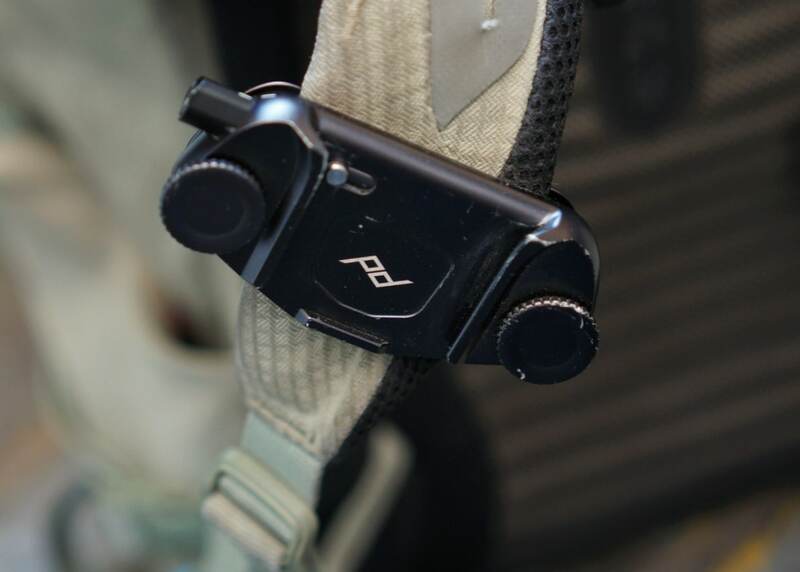 They’ll love the Peak Design Capture Clip which would allow them to clip their camera to a backpack strap, allowing it to hang safely and securely out of the way. I love mine as it really helps to get the weight off your neck and keeps the camera accessible. “Merino wool clothing, and base layers in particular, have been a game changer for us when trekking and they are the perfect gift for any hiker. It was only when hiking in New Zealand we understood the value of merino wool as opposed to any other material. We had debated taking them with us as we were walking in the height of summer, but when the temperature dropped from 20oc to 1.5oc in a matter of hours during the day, we knew we’d made the right choice! In changeable weather conditions, merino thermals are fantastic at keeping you warm on the trail and when the temperature drops at night. It is also perfect for wet weather. Whilst it won’t keep you dry; merino wool won’t sap the heat from your body when wet like cotton does (which uses the heat in your body to dry itself). 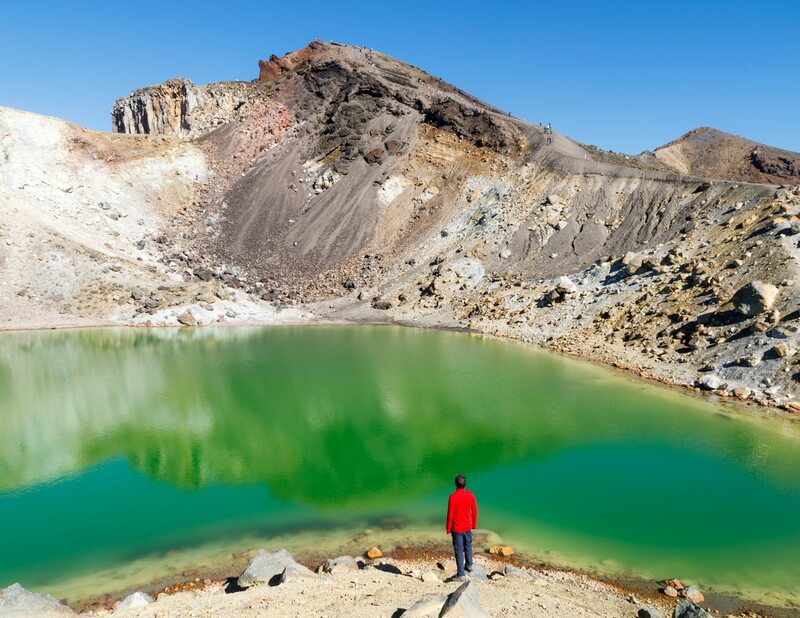 Cat recently wrote a guide to hiking the Tongariro Northern Circuit in New Zealand, check it out here! When I first started camping, one of the first pieces of equipment I bought was the Black Diamond Storm Headlamp. I have had the headlamp for six years now, and it is still going strong. I love how compact and small the headlight is. It is perfect for backpacking and can be packed just about anywhere, unlike lanterns which can be bulky and heavy. The most significant benefit of using a headlamp is the ease of use. When it gets dark, I just put the lamp on my head and turn it off when I don’t need it and turn it on when I do. Rather than holding a flashlight, the headlamp allows me to perform tasks unhindered by holding my light source. Also, keeping the headlamp on my head reduces the possibility of my misplacing my light source. One of my favourite features of the Black Diamond headlamp is it has several different brightness settings. It even has the red night vision which was needed when we backpacked through the Grand Canyon. In the end, The Black Diamond Storm Headlamps is one of the best camping investments made to this date. The lamp is extremely durable, compact, useful, and packable which is everything needed for a night lamp. 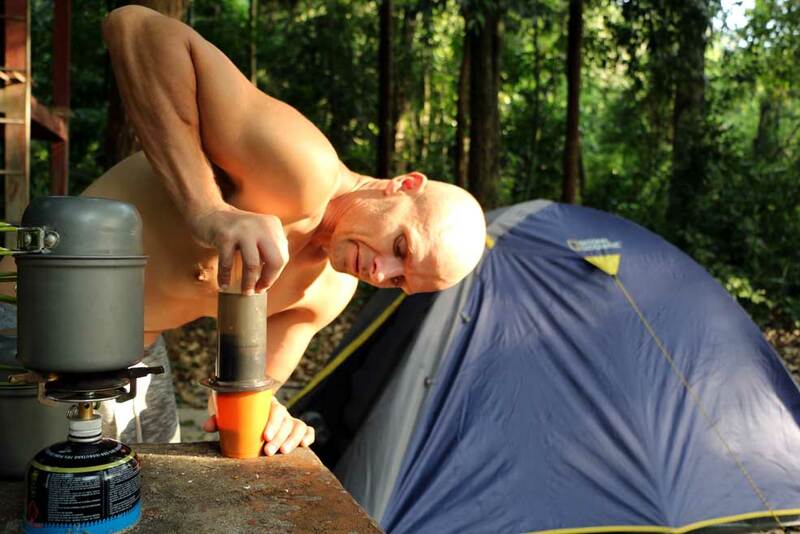 Campbell and Alya of StingyNomads recommend an Aeropress coffee maker for the hiking friend or family member on your list. As coffee lovers ourselves we’ve always thought one of these would be great (hint hint)! 30 litres (give or take) is generally about the right size for a daypack. They’re can fit everything you need without cramming everything in and it’s a versatile size that works well for hiking, skiing, travel, or pretty much any activity. There are a lot of great options in this space but I’m particularly loyal to Osprey backpacks. I have an Osprey Kestrel which has been going strong for 8 years and has yet to show significant wear and tear. Osprey stands behind their product with a lifetime warranty as well. These inflatable mattresses changes our backpacking lives. They are way more comfortable than the Thermarest Prolites (which we had previously) or foam mattresses because they provide more support. The only drawback is that they are not self inflating. I find I get a much better sleep in the backcountry with this mattress and my back is less sore in the morning. These are some of Phil’s favourite products, recommended for the male hiker on your list. My arsenal of hiking clothes is filled with a variety of Patagonia button ups and Smartwool t-shirts. I like the Patagonia button ups because they’re breathable, but look somewhat smart around town. The Smartwool t-shirts are merino wool and can be worn for days at a time without stinking. Perfect for extended trips into the backcountry. Arc’teryx fleece – One of my favourite and coziest items. Great for those cool weather hiking days or throwing on around camp in the evening. It’s durable, cozy, and warm, what’s not to like? This is similar to the one I own and I like that Arc’teryx stands behind their products – I burned one of my fleeces by a campfire and they sent me a new one, only asking that I pay shipping. Nice! These are my most comfortable hiking pants and end up being my pick most days. They’re lightweight and have proven to be durable, and they have pockets in all the right places. Plus they don’t make that awful swishy-swishy sound that some hiking pants make so you won’t annoy everyone else on the trail. Every guy needs a multi-tool if you’re going into the backcountry right? Whether it’s for making gear repairs, preparing your meal, or defending yourself from a bear (just kidding) a multi-tool will always come in handy when hiking. I received a Gerber one as a gift and it’s served me well. My only complaint? It doesn’t have a corkscrew. 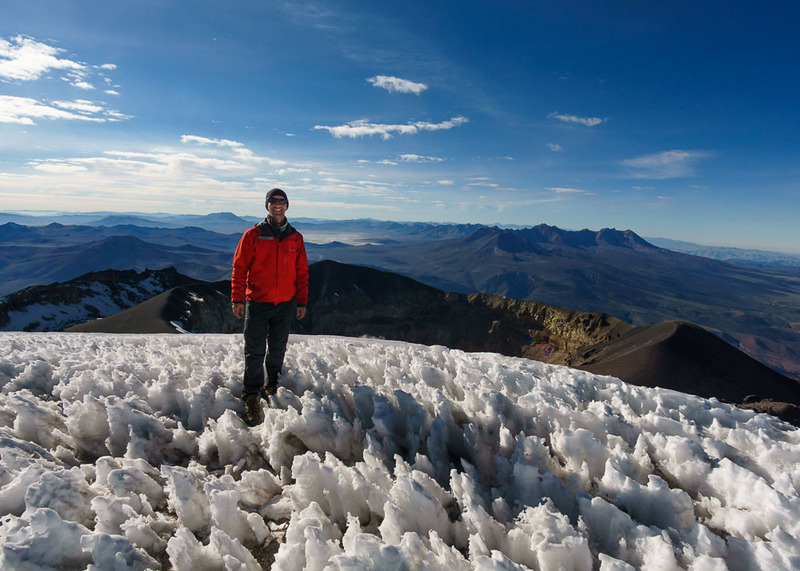 Layering is the key to staying warm when you’re hiking or spending time in the backcountry. A lightweight, breathable mid-layer keeps you warm and can be worn year round. I own the Arc’teryx Atom LT, but the Patagonia NanoAir and Mountain Hardwear Ghost Whisperer are also great options. I take a lot of flack for how much I love my Arc’teryx Shell, but realistically you can’t go wrong with a Goretex Pro Shell from any one of Arc’teryx, Marmot, Patagonia, or Mountain Hardwear. A Goretex pro shell is incredibly durable, stops the wind and water, and they’re breathable. They’re a must have for any hiker. Women are people too so guess what? they will probably like almost everything on the men’s list as well! No need to shrink it and pink it here! Nevertheless, some brands seem to get that women come in a variety of shapes and sizes better than others, so here are some of Thea’s hiking products. These insanely popular hair ties are great for keeping your hair out of your face without snags or creases. They’re a perfect stocking stuffer and come in a range of colours too. If your man sports a top-knot, he might like them too. Great for staying fresh on multi-day trips. Just make sure it’s made of bio-degradable materials and that you rinse with water from your pot rather than directly into a stream or lake. Bonus – men can use them too! Given that we already know why wool is great for hiking, I’ll just add that particularly love the Icebreaker v-neck hiking shirts since they can easily move from trail to town in style. I’m obsessed with this brand’s ginch. They’re made with durable technical fabric and are super comfortable when hiking. They wash and dry easily and quickly too. They’re pretty much all I wear now. These funny-looking socks are true blister-busters. I was plagued with painful blisters on my toes for a long time until I discovered these. I use them with lightweight mid-length socks from Darn Tough and have banished blisters from my feet. Everyone knows it, but Keens aren’t exactly revered for their beauty. That said, they are wickedly comfortable, lightweight, and wonderful to have when hiking where there might be stream crossings, or to wear in camp after the end of a day of backpacking. While I have a pair of the bomb-proof but super-ugly Newport-II style for canoe-camping, I also own the Rose style, which are lighter than other styles and stylish enough for wearing around town after the hike. You do lose some durability with this style though – I thought I was going to lose one in the currents of the Milk River! Ok this one is women-specific with a purpose. The hip belt pockets are set a bit wider which means your arms won’t swing into them when walking and you can adjust the torso length of the back insert from x-small to large so you can get a personalized fit for your height. Aside from keeping hot beverages hot for hours (or cold beverages cool) you can also put your wine in it! I prefer these ones over the S’well bottles because the handy cap makes it easier to carry. I also love the range of colours that you can get in these. It also comes in handy when hiking as you can use it to roll your foot and relieve pain. 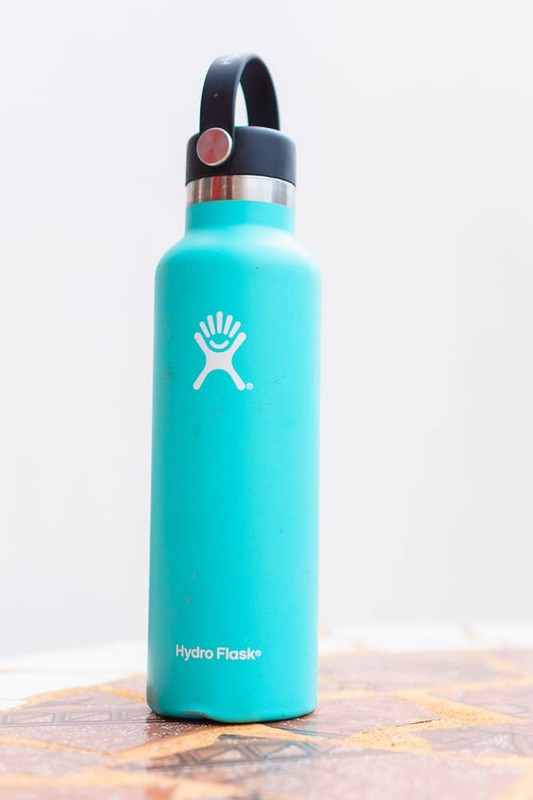 Hydroflask Bottle – will take a beating but still be better than all your other water bottles. My besty bought me a pair for Christmas of the stainless steel ones and they are wonderful. They hold up better than the plastic ones so it’s definitely worth paying a little more for this style and you will be in good spirits on the trail! This California-based company makes technical clothing that performs exceptionally well without looking like you’re wearing a potato sack. I love their lightweight flannel. Please start shipping to Canada! Some women love hiking in leggings as opposed to pants and I for one, love changing into a pair in camp or at the refugio when backpacking. I like the Fabletics Salar PowerHold leggings in 7/8 length because I’m short and regular length ones are too long, but also because they feature UPF 50+ sun protection, chafe-free seaming, and moisture-wicking fabric. They are great for hiking in warm weather where you’re not bushwacking or dealing with loose scree because they will tear easily. For cold weather the Outdoor Research Radiant Hybrid tights and are a good option. Down is phenomenal for temperature regulation and packs serious punch for its weight. I love my super-warm Marmot for lunch breaks and cool nights when camping. As a bonus, the jacket stuffs into its hood which makes it a great pillow too! I have a small backpacking-friendly pack towel but I have coveted other people’s body-sized ones while hiking to places that have showers, like Patagonia. Without one, you either have to change inside the wet shower, or let everyone see the whole you while drying off with a small one. To me, it seems worth the weight. Patagonia’s goretex shells are bombproof and can accommodate hips without making it look like you’re wearing a very expensive garbage bag. I have used the Super-Alpine for years which is like the Triolet jacket that is currently sold and it is waterproof, tough as nails, and fits great. Of course, if you don’t know what to get someone a gift card will always come in handy. 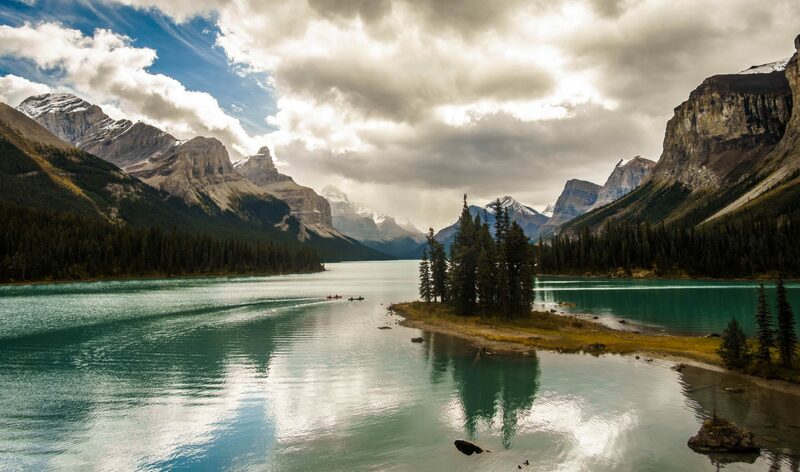 We love getting cards to Canada’s Mountain Equipment Co-op (MEC) as they always get used. REI cards or Backcountry.com gift cards would certainly be appreciated by Americans. If we missed your favourite item let us know in the comments and we’ll add it to our list! Alternatively, if you gifted one of these to a loved one let us know what they thought! !